Tick paralysis is a common disease encountered at Northside Emergency Veterinary Service. Adult paralysis ticks are found year round on the Northern Beaches, although incidences of tick paralysis increase in late September until January. All stages of the life cycle are toxic, but the adult female ticks are associated with most cases showing clinical signs. The tick injects a toxin in its saliva as it feeds. Paralysis is caused by the holocyclotoxin which inhibits release of the neurotransmitter, Acetylcholine, from the neuromuscular junction. Affected dogs show varied clinical signs. One or more of these signs may be present. Tick paralysis is a serious disease and can be life threatening. Treatment involves administration of tick antiserum. This acts to mop up unbound toxin, thereby removing it from the circulation. This infusion must be given slowly, usually over at least 30 minutes, but can be over longer periods if the dog has had previous doses. Although rare, fatal adverse reactions can occur. 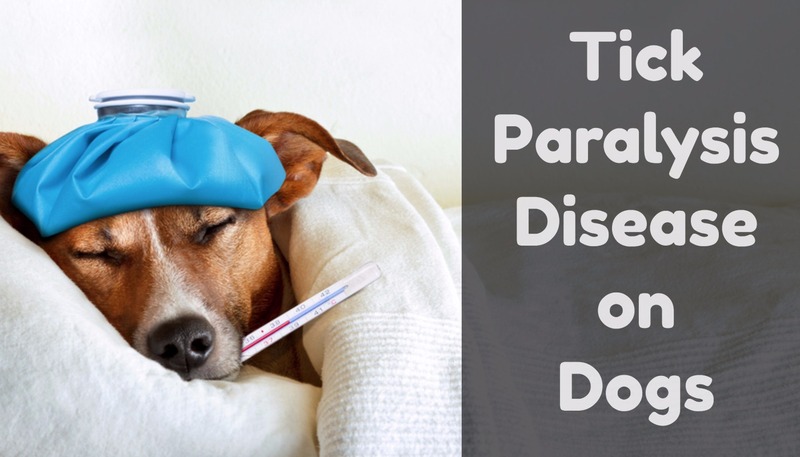 The disease has an unpredictable course with significant variability between different dogs. Supportive care is instigated and continued as long as the toxin is bound. Dogs are usually hospitalised between 2 and 7 days, although this can be variable. We expect some further deterioration in the animal’s condition for 24-48 hours after administration of tick antiserum. Patients with less severe disease will require assistance with intravenous fluids and ensuring they can urinate unaided. Intravenous fluids will help avoid dehydration in dogs that cannot effectively swallow water. Some dogs affected with tick paralysis have compromised respiration. 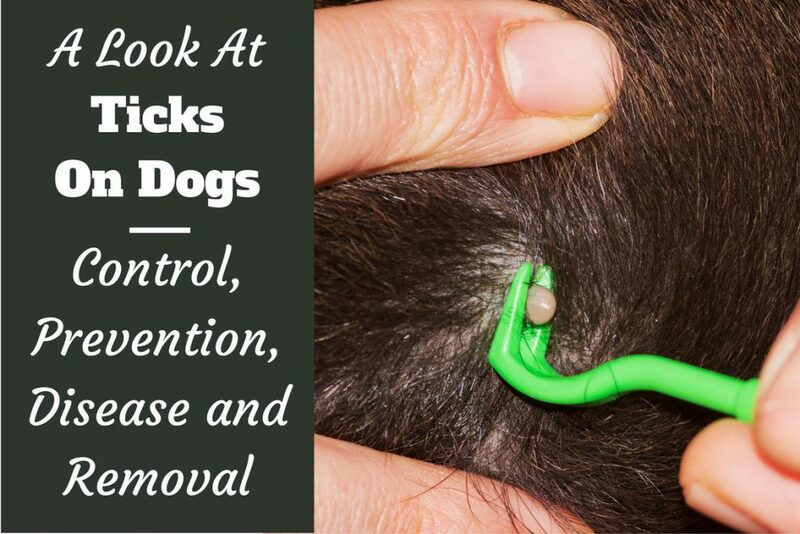 The two main parameters that we check closely in tick dogs are oxygen levels and carbon dioxide levels. Although related to each other, they act mostly independently. Oxygen is needed to breathe and easily measured by a probe placed on the dogs lip, tongue, paw or ear. This gives a reading known as the patients SpO2 which we aim to keep greater than 95% on room air. Carbon dioxide can be measured by taking a blood sample which measures the level circulating in the blood stream. Carbon dioxide levels will become higher if the dog is taking short shallow breaths. When an animal is working hard to breathe, they have increased oxygen consumption associated with the huge abdominal effort they put into every breath. On top of this, they often have weakened muscles which over time, become tired due to the level of effort associated with the breathing. Many patients (in particular French bulldogs, pugs, Shih Tzus) in addition will have upper airway obstruction caused by laryngeal dysfunction. The lungs themselves may be compromised with pneumonia (secondary to loss of swallow reflex and inhalation of stomach content) or pulmonary oedema (caused by the tick toxin). Aspiration pneumonia is relatively common secondary complication associated with paralyzing tick and dogs that present with retching, gagging or vomiting are at higher risk to develop this serious complication. This is diagnosed by taking radiographs (X-rays) which can show the presence of pneumonia and/or lung consolidation. Dogs with pneumonia will require antibiotics to treat the bacterial infection as well as supportive care such as oxygen, nebulisation and coupage. Patients with compromised breathing will benefit from oxygen support. This is administered via a nasal catheter or in an oxygen tank. Sometimes, despite supportive care, a dog’s ability to breathe becomes further compromised and they may require an endotracheal tube to be placed. This allows oxygen to be delivered by bypassing the larynx and any laryngeal dysfunction. If this alone is not adequate to keep the oxygen and carbon dioxide in a safe range, the dog may progress to requiring mechanical ventilation or life support. This allows the veterinarian to take control of the dog’s breathing and deliver deeper breaths which mean the carbon dioxide levels can be decreased into a safe range. It also allows us to deliver the correct amount of oxygen and pressure support to ensure the dog’s oxygenation is adequate. Dogs will be heavily sedated or anaesthetised to tolerate this level of intervention. 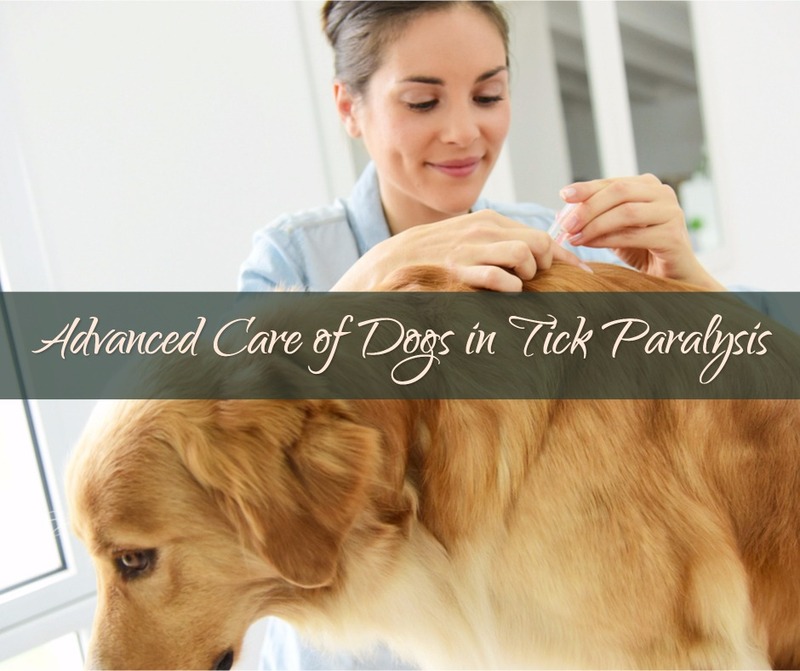 If caught early, without complications, tick paralysis has an excellent survival rate of 95%. Should the dog deteriorate to requiring ventilator support, the survival rate is 50%. If you find a tick on your dog, remove it and place the tick in a jar for identification by your veterinarian. You should then seek advice from your regular veterinarian as soon as possible. If they are closed, advice should be sought from your nearest Veterinary Emergency Centre. Prompt treatment often avoids complications and can lead to improved outcomes.